We all get into accidents at home or suffer from autumn and winter ailments such as coughs and colds. 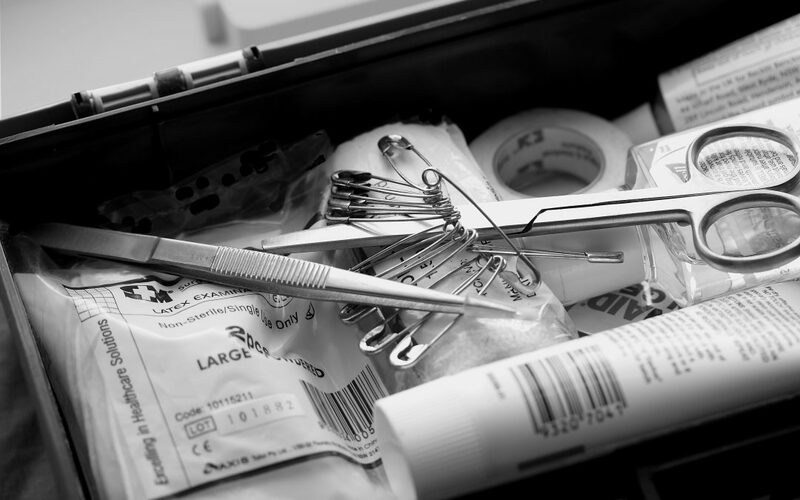 Most of the time, we can care and patch ourselves up with the help of a first aid kit. But would you know what there should be in it? It’s important your medicine cabinet is well-stocked to deal with minor accidents and injuries at home, and medicines are safely stored according to their labels and are within their use-by dates. Many people also keep a small first aid kit in their car for emergencies – it is recommended that you keep one in your vehicle if you are a driver. Don’t forget to keep your medicine cabinet out of the reach of children. Medicines should be kept in their original packaging with their advice leaflets. Please check expiry dates regularly. There are times when your home first Aid kit simply won’t suffice. It’s important to remember that there are a variety of options available to you, depending on the extent of your pain.